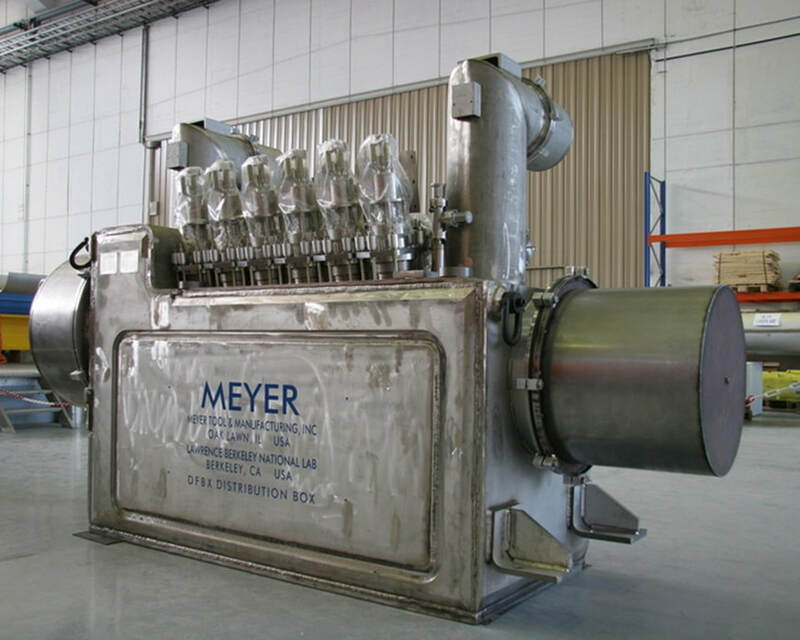 Custom Fabrication Products | Meyer Tool & Manufacturing - Meyer Tool & Mfg. 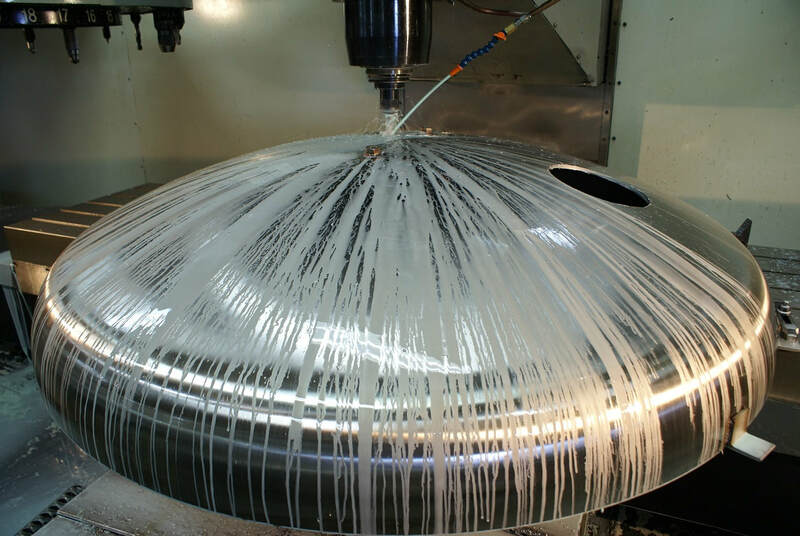 We have been designing and fabricating custom ultra high vacuum chambers for a wide variety or industries and applications for the past 47 years. Our vacuum products are in use in a wide variety of industrial and scientific research facilities around the world. 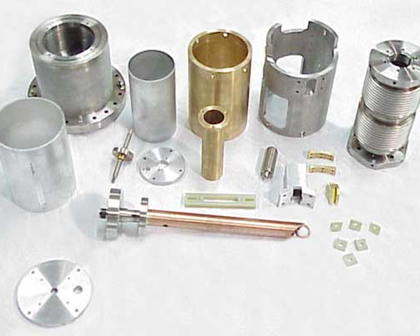 We have made chambers and components for deep space telescopes, semiconductor process equipment, solar cell process equipment, lab grown diamond manufacturing, and of course particle accelerators. 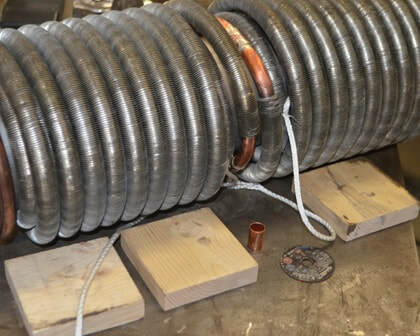 We specialize in custom or prototype vacuum chamber projects. Our engineering staff can help you optimize your design and determine the most efficient and cost effective fabrication plan. Once a prototype is proven out we will integrate the lessons learned into large scale vacuum chamber production runs. ​We are also capable of running larger volume custom vacuum chamber production runs when a prototype phase is not required. 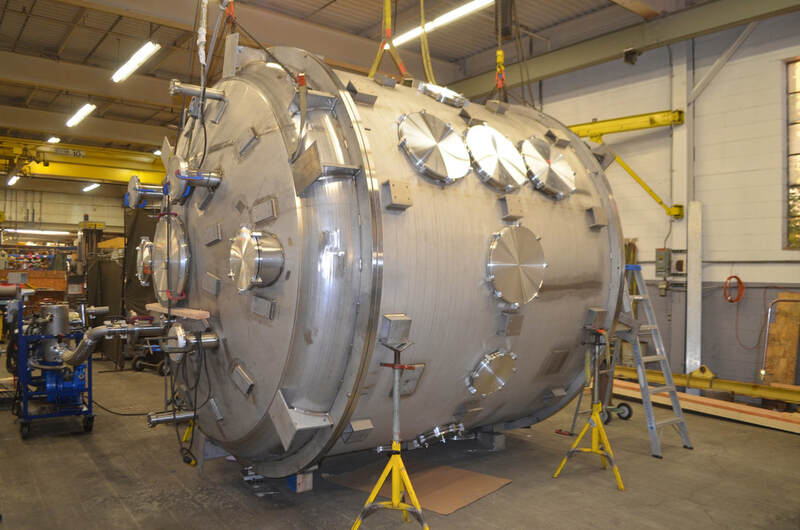 We can design your pressure vessel project from scratch or we can build a vessel per your prints and specifications. We maintain an ASME "U" and "R" stamp which certifies us to both fabricate and repair ASME code pressure vessels. We specialize in custom, prototype, or challenging pressure vessels designs in which we can showcase our differentiated fabrication skills. Contact us when you are having quality issues with your existing supply chain or when you could use some design assistance with your next pressure vessel project. We are capable of streamlining a one of a kind prototype design, optimizing it for production, and producing mass quantity production runs at impeccable quality standards. 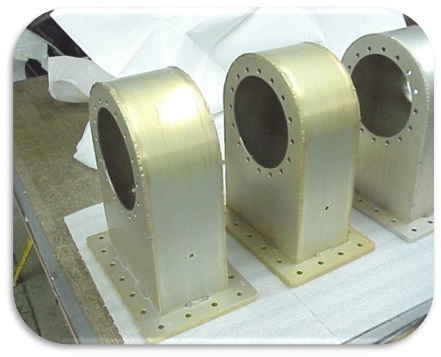 Our quality processes are designed around fabricating one of a kind products for particle accelerator applications. 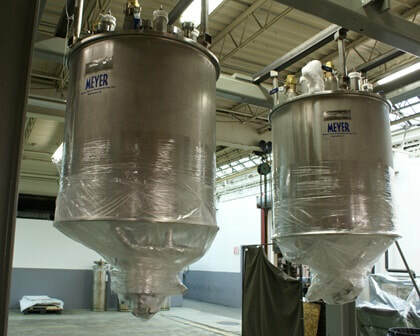 We are uniquely qualified to design and fabricate custom cryogenic components and chambers. We have been supplying cryogenic systems to National Labs across the United States since 1969 servicing the particle accelerator and advanced particle physics industry. 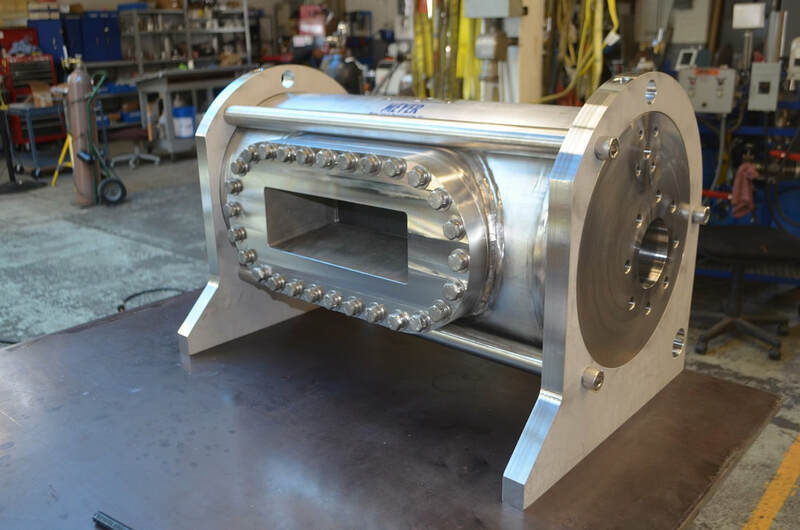 We have extensive experience designing and fabricating cryostats, dewars, distribution boxes, transfer lines, piping systems, heat exchangers, cold boxes, and other custom cryogenic systems. Our hardware is in some of the most advanced research facilities around the world including the Large Hadron Particle Collider at CERN in Switzerland. 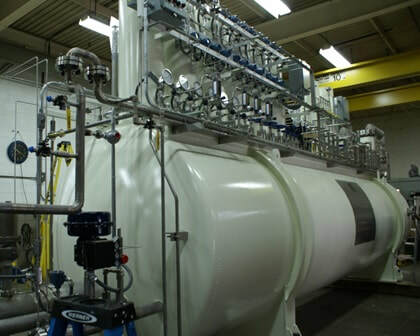 Contact us and our engineers can assist you with designing your cryogenic system or we can fabricate your equipment to your exact design specifications. We are not your run of the mill machine shop. 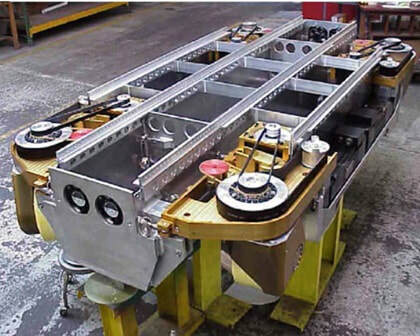 We have developed our processes and skills over the past 47 years fabricating some of the most complex projects for the particle accelerator industry. We specialize on more challenging machining projects in which there is something unique that requires special attention that other shops are either unwilling or incapable of addressing. Our engineering staff works hand in hand with our machinists to troubleshoot a fabrication plan around your specific project requirements. We are setup to run small prototype runs in order to get you the high quality parts you need to prove out your process. We can then ramp up to production volume capacity by developing fixtures and selecting tooling that will reduce time and cost on high volume production runs.